Jay Leno: The Kennedy Center Mark Twain Prize aired on PBS stations nationwide on Sunday, November 23, 2014. 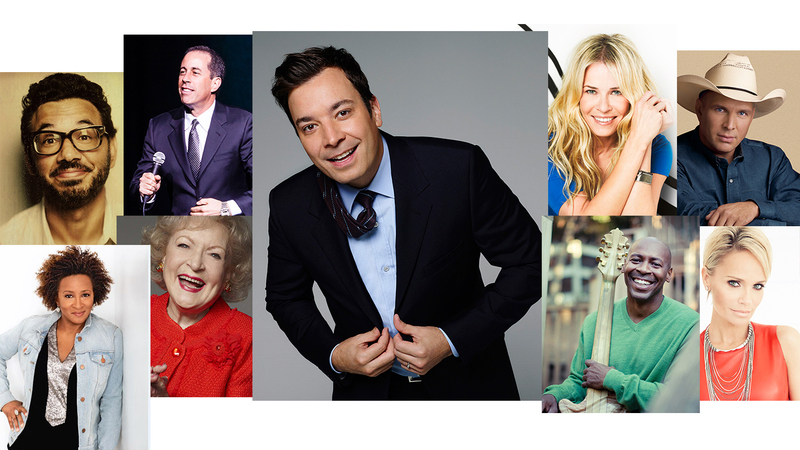 A lineup of top entertainers, including Garth Brooks, Kevin Eubanks, Jimmy Fallon, Chelsea Handler, Seth Meyers, Jerry Seinfeld, J.B. Smoove, Wanda Sykes, and others, saluted Jay Leno at the 17th Annual Kennedy Center Mark Twain Prize for American Humor on October 19, 2014. Meet the all-star cast of actors and musicians celebrating Jay Leno's life and humor. 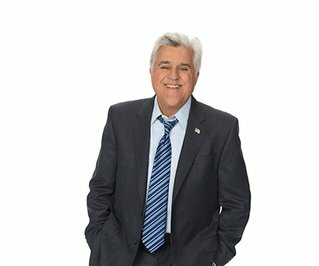 Jay Leno Leno has also gained an international following on the internet with his new creation, Jaylenosgarage.com, winning an Emmy Award and two additional nominations for Outstanding Special Class–Short-Format Nonfiction Programs. Leno, himself, is the recipient of the People’s Choice Award and other honors, including the Harris Poll selection as most popular star on television. Other personal highlights include the Hasty Pudding Award at Harvard University and an honorary doctorate from his alma mater, Emerson College. Like Mr. Carson, Groucho Marx, and an elite group of entertainment figures, he has been invited to have his papers installed in the Library of Congress. Leno’s children’s book If Roast Beef Could Fly (from Simon & Schuster) was published in April 2004 and immediately became a New York Times Bestseller. His follow-up kids book How to be the Funniest Kid in Your Class was similarly successful. He has also published the book Leading with My Chin (from HarperCollins), as well as four versions of Headlines, the compilation of books and desk calendars featuring his favorite funny newspaper headlines, and Police Blotter, a book with more humorous newspaper clips involving police stories. When he is not performing, writing, or doing charitable work, Leno keeps busy doing voice-over work in such movies as Cars and Igor and the hit-TV show The Fairly Oddparents (Nickelodeon), where the character The Crimson Chin – a superhero with a chin with superpowers – was inspired by Leno’s own noted jawline. He is also a monthly columnist in Popular Mechanics and in his spare time, he enjoys working on his collection of classic cars and motorcycles, building a number of cars, including an eco-car in his eco-friendly garage. Leno was born in New Rochelle, New York, and raised in Andover, Massachusetts. He and his wife, Mavis, live in Los Angeles.